Olympian Kristin Armstrong and developer Ball Ventures Ahlquist are teaming for a string of gyms in the Boise valley. Now, they’ve announced locations. PIVOT Lifestyle + Fitness by KA broke ground on a 10,000 square foot facility at Ten Mile Crossing in October. Now, the venture plans three more locations: in Boise’s Barber Valley, in Downtown Boise and at Eagle View Landing. The facilities will include studios for hot yoga, functional training, cycling and general gym space. Armstrong is a 3-time Olympic gold medalist, winning in the distance time trial in 2008 in Beijing, 2012 in London and 2016 in Rio. PIVOT is planned is planned for the Brighton Corp./BVA development known as Barber Station. The project already contains a large apartment complex, townhomes and a dance studio. At full build-out, an Albertsons store and fuel center, senior living community, stores and offices will be part of the project. PIVOT will join a second location for Hollywood Market Yoga and dance studio in the fitness space in the project. The Downtown Boise area will get a third gym option soon. 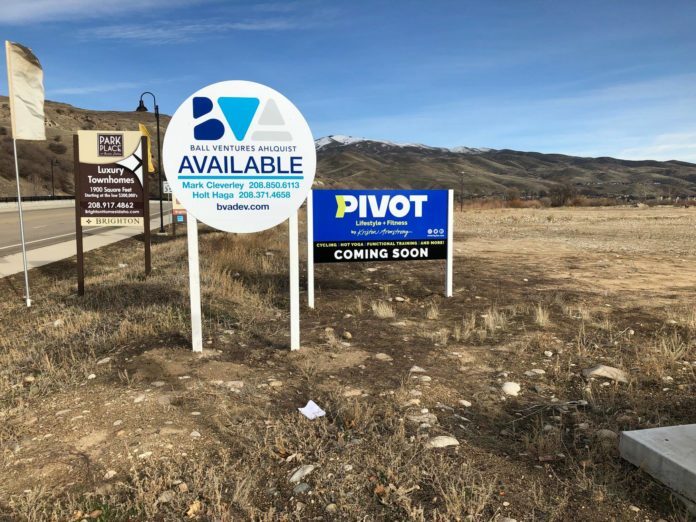 PIVOT will open at the BVA Pioneer Crossing project. It will compete against full-line gyms owned by Gardner Co. in the 8th & Main building, and Grove Fitness inside the Grove Hotel.